Speak from the heart. 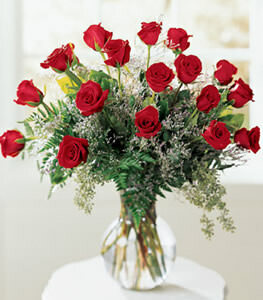 This romantic presentation of the classic red flower celebrates passion, desire and devotion in the most memorable way. 18 roses, limonium and seeded eucalyptus are beautifully arranged in a glass vase. Sure to impress.